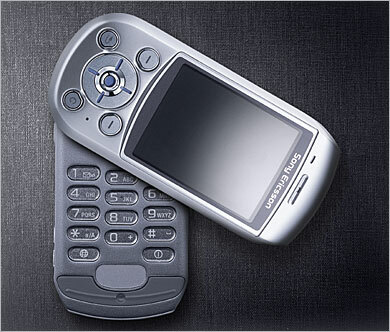 Sony has unveilved the S700, it uses an innovative swivel-open design that allows use of the phone in three ways... photo shoot, browse, and talk, or text and email. 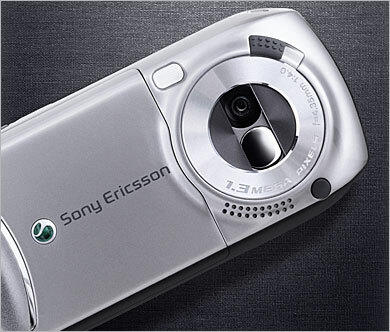 The back side of the phone looks like a traditional Sony digital camera, its 1.3 megapixel CDD with 8x digital zoom is nothing close to what you get with a dedicated digital camera, but good enough for a phone. 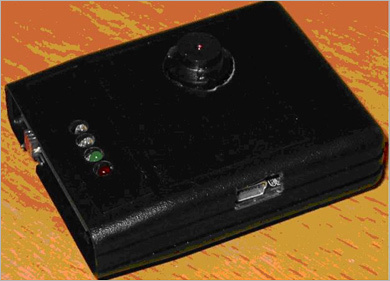 Images can be stored on a Memory Stick Duo, making transfers to a computer easy. The S700 can also stream and capture video clips... seems like Sony is also taking PMP (Portable Media Player) seriously, since this device can playback video files off the Memory Stick as well, it's limited (only MPEG-4), but a sign of what will be coming. Bluetooth and IR is still standard and an updated polyphonic ringtone system now has up to 74 voices. A couple more notable features are the 2.3" touchscreen and MP3 audio playback. The only thing I don't see mentioned for this model is a FM tuner. No pricing information yet, but this phone is expected sometime in Q4 of 2004. With the DVJ-X1, we can no longer say that video killed the radio star. 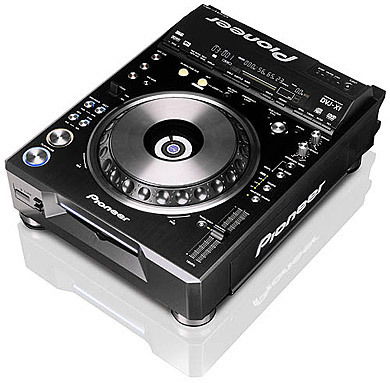 Pioneer is taking traditional DJing to the next level with the DVJ-X1 digital video turntable. The DJV-X1 can playback DVDs, CDs, and VCDs so real-time digital video scratches, loops and instant cues can be made while the audio and video stays in perfect sync, even when they're being reversed. Now a DJ (or DJV, as Pioneer is calling them) can not only control the audio but the video experience, paving for a new era of entertainment at clubs and parties. Geez, computer are getting smaller and smaller... Mini-ITX.com has photos of an EPIA N prototype from CeBIT 2004. The motherboard measures 12cm x 12cm and is fanless with Serial ATA, S3's Unichrome Pro graphics, built-in MPEG-2 decoder, MPEG-4 acceleration, and 6-channel "VIA Vinyl" Audio. 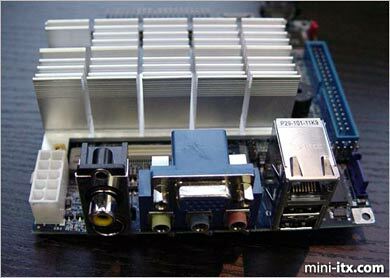 This isn't an early April fools joke... you need to check out the photos at Mini-ITX.com right now. A couple weeks ago at Microsoft's annual TechFest, Microsoft unveiled a new technology their Research Division is developing, it's called the SenseCam. It's a device that keeps a record of your life and is designed to be worn around the neck and automatically takes up to 2,000 images a day, producing a visual diary of your life. Think photoblogging to the extreme. From the company that brought the ORB and the BEACON. Ambient Devices has created the DASHBOARD... I think it's a great idea! 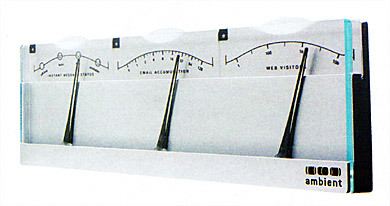 You can now represent digital information with analog needles. The device isn't available yet, but based on information I've read, you can use their free broadcast network, which seems to be using the same technology as the MSFT Spotwatch or pagers, to update the DASHBOARD every 15 minutes. It has easy-to-swap faces that allow you to track all kinds of information... like a countdown to new years, the number of emails in your inbox, or how the market is doing. It will retail for about $130. Panasonic has updated its award winning DVX100 24p DV cinema camera with the DVX100A, externally they look the same, but the DVX100A offers a sharper clearer picture. What makes this 3CCD camera different from the rest is that it shoots in 24p, producing a legitimate "film look" picture. It's currently being used to shoot the film 'November', starting Courteney Cox and James Le Gros. 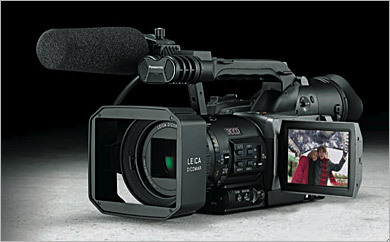 The DVX100A retails for $4000.